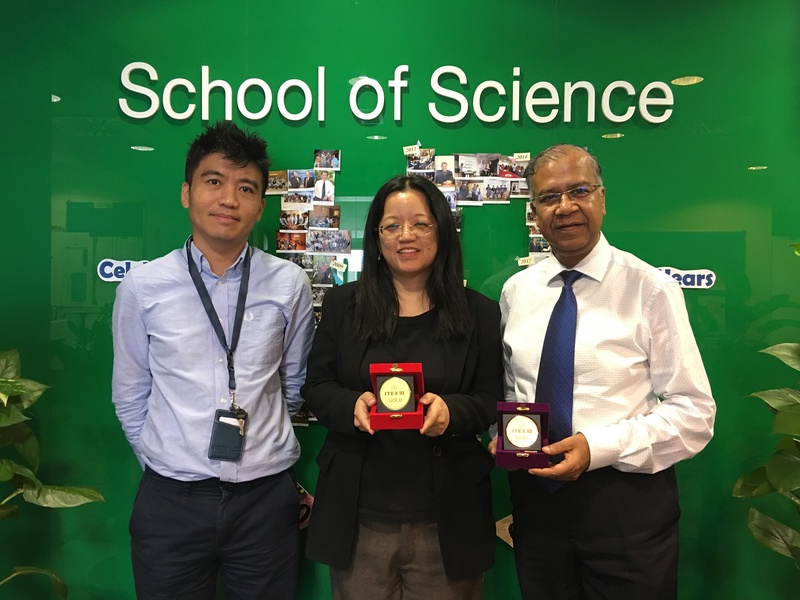 Congratulations to Dr. Cheow Yuen Lin, A/Prof. Adeline Ting and Prof Sunil Lal who participated at the 29th International Invention, Innovation and Technology Exhibition (ITEX 2018). This project showcases the use of a locally-derived fungal strain for development as biofungicide. This isolate has tremendous potential as biofungicide, having (1) good compatibility with host plant, (2) strong antifungal activities towards tropical pathogens like Ganoderma boninense and Fusarium tropical race 4, (3) produces antifungal compounds, (4) promotes plant-growth and induces host-defense mechanisms, and (5) has demonstrated biocontrol activities in seedlings (oil palm). This isolate has also demonstrated ability to tolerate presence of metals (up to 50 ppm) without implications to antifungal activities. This isolate, or its beneficial compounds, can be further developed as biofungicide for sustainable management of major tropical diseases in Malaysia such as the Ganoderma rot of oil palm and Fusarium wilt of bananas. This work was supported by the ERGS grant (MOE) and the results have been documented in 5 different journal articles. This project aims to establish multiple molecular markers and run DNA-based multiplex testing assays for Halal compliance testing for injectables, food and drink items using a well-integrated DNA and protein-based testing strategy. Through this exhibit, the project had presented new bio-markers to test porcine contamination at high fidelity and accuracy using new multiplex molecular techniques.